The 2012 WSOP World Champion, Greg Merson, has found a fitting new sponsor in the form of, yes you've guessed it: the WSOP. 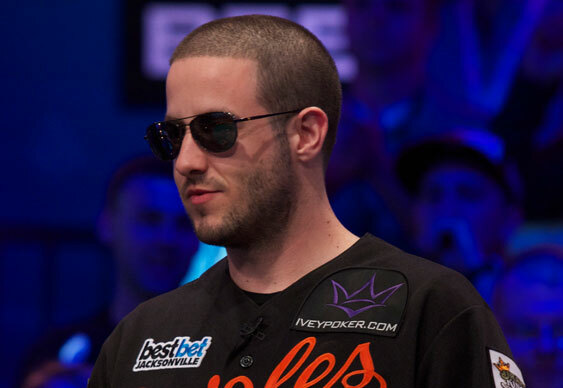 After a forum thread raised suspicions that Greg was playing under multiple screen names on the US-facing site, the Main Event bracelet holder was forced to come clean about his new deal. Despite posting pictures of his new WSOP.com handle - 'GregMerson' - on Instagram and Twitter, the message didn't seem to catch on and with no official word from the site, people were left suspecting the worst. "My name change was due to signing with WSOP.com and I apologize if that wasn't clearer by my tweets and Instagram. Since the name change I have not played on my other screen as it has been terminated afaik." The WSOP's Bill Rini confirmed that the old account (Toddmcshay) has been deleted, seemingly giving weight to the appointment of Mr. Merson as the latest WSOP sponsored pro. Greg's professional relationship with WSOP.com is one of his first major sponsorship deals since winning the WSOP Main event and he will now be moving to New Jersey to start his official tenure as a WSOP pro.